(OPride) — Ethiopia’s political and security crisis shows no signs of abating. Authorities on Friday imposed nightly curfew at a number of public colleges and universities following a spate of inter-ethnic clashes and the murder of scores of students. The teaching-learning process has been disrupted at least at nine institutions of higher education. 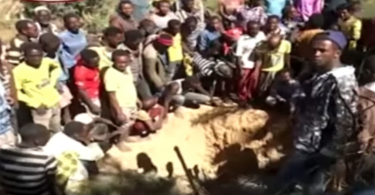 The wanton massacre of 16 innocent civilians, five from one family, in Chelenko by federal troops on Dec. 11 has stoked more protests across the restive Oromia state.The atrocity drew quick condemnation from the state’s president, Lemma Megersa. Oromia officials have accused the central government of deploying the federal army and police without its request—contrary to the constitutional stipulation that forbids such deployment without a formal request by the state. The 36-member EPRDF Executive Council is now “in do or die” meeting amid fierce disagreements “on how to go forward.” Earlier in the week, the session was reportedly adjourned without agreement after Oromo and Amhara members of the governing coalition demanded an end to Tigrayan supremacy and the economic and political marginalization of their constituencies, which together make up two-thirds of the country’s 100 million population. Following the walkout, TPLF brought in members of the old-guard to calm tensions. But this too apparently backfired—culminating in heated exchanges, among others, between Abay Tsehaye, an imperious former Minister of Federal Affairs, and representatives of the Oromo People’s’ Democratic Organization (OPDO). TPLF, fresh out of a 35-days long marathon meeting, is vowing to restore its dominance. In an interview with the state-affiliated Fana Broadcasting, the party’s newly minted chairman, Debretsion, has threatened to crush those who fault his party for mounting troubles in the Amhara and Oromia regions. Debretsion said claims of Tigrean hegemony are manufactured by foreign enemies of the state to weaken TPLF, sow discord in the country and bring down its rightful government. The fact that Debretsion emphasized the psychological and physical harm against a few Tigreans and the “slander” against his party, while dead silent on the killing of thousands of Oromo protesters for over three years and the displacement of over half a million Oromo by the Somali Liyu Police with direct links to Tigrean generals, points to his intentions to crackdown against any challenge to Tigrean supremacy. Such crackdowns have been futile in the past to contain protests and resistance by the Oromo, the largest of Ethiopia’s 80-plus ethnic groups. The security plan issued by Prime Minister Hailemariam Desalegn last month included suggestions that the military could take over state media outlets such as the popular Oromia Broadcasting Network (OBN). Debretsion has been mulling about such takeover as early as in September, according to a cache of leaked documents seen by OPride. In a major escalation of tensions, OPride has learned that TPLF has resolved to reverse gains made by the new OPDO leadership at its expense. To this effect, the Tigrayan leaders are tabling a motion to dissolve EPRDF and form a strong single party—a move summarily rejected by OPDO and the Amhara National Democratic Movement (ANDM), another coalition partner. TPLF’s intelligence arm is now reportedly cajoling ANDM to preëmpt the budding Amhara and Oromo alliance. 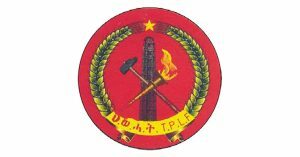 Supporters of TPLF seem alarmed by the threat posed to its supremacy by OPDO’s increasing assertiveness and its overtures to ANDM. The blog characterized attempts by regional Oromia leaders to assert state rights as a “coup d’état.” In a further sign that the newly installed Tigrean leadership is under pressure by its supporters to quash any threats to its hegemony, another TPLF-affiliated media outlet, Aiga Forum, has put out editorials calling on the authorities to move firmly against populist leaders—an implicit jab at Lemma and members of his cabinet. Aiga described the ongoing meeting as a moment of “Reckoning” and warned that nothing and no one will be spared. If its motion for the merging of EPRDF into a single strong party fails, the new TPLF leadership is reportedly planning to reinstate former OPDO leaders who are sympathetic and loyal to TPLF. In a surprise move a year ago, OPDO removed its chairman, Muktar Kedir, and Deputy Chairman, Aster Mamo, and elected a new and youthful leadership team led by Lemma, who has since built considerable support among the Oromo population for his reformist agenda. Fortunately, the gambit to bring back old faces or a crude measure to take over OBN are unlikely to materialize. For one, Aster is “exiled” in Canada where she serves as an ambassador. Mukar and Bakar Shale, the ex-head of the OPDO Secretariat, appear disengaged and busy with their first semester Ph.D. coursework in South Korea. Kuma Demeksa, one-time president of Oromia, is reportedly the former OPDO official that Aiga hails for siding with TPLF. That leaves Diriba Kuma and Girma Biru, both of whom reportedly offered at least lukewarm support for OPDO’s reform agenda. In short, if Lemma’s group holds its ground, wish as it may, TPLF simply cannot clone loyalists who can do its bidding in Oromia. 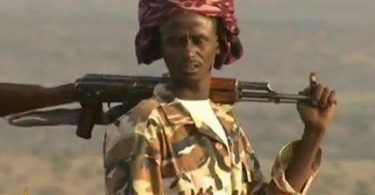 Analysts warn that any action by TPLF’s military and intelligence leaders against OPDO, including the return of Oromo-speaking old guard which presided over the flagrant abuse of power and human rights violations, will be a catalyst for civil war. Good analysis Opride; always on point. Totally one sided news. 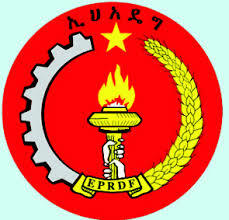 TPLF doesn’t vow to maintain its dominance, it vows to correct all internal conflicts and problems. Well the chelenko massacre was not done by the hands of the federal troops, absolutely wrong. By the same media, it was reported that the the Somali region police was responsible for Chelenko killings. When all is said and done: the bloodshed designed for Ethiopians is already happening. For now the killers are in a ruling group (less than 10 million against 90 million). I cannot think of what is going to happen when the tide changes. Hopefully, the ones who are killing now will understand that the conditions are ripe enough to settle their ego down and do a fever for their children. Remember the guys who ascended you to power are not asleep. If you think they will be there for you forever, you are fooled. A flawed and baseless analysis which doesn’t show the actual reality at the ground and seems inclined to one group which is not healthy for the stability issues in the country. Where ever a black man rule,injustice and poverty cry louder. The recent economic achievement scored by Ethiopia is due to international aid , direct involvement of china capital and skilled labor..nevertheless Ethiopia now has the best government in its entire modern history trying their level best to capitalize on growth momentum. But surely people are striving to destroy it so as to show the world another round of famine and misery. Remember Ethiopia is country of people with the lowest IQ and contains 10 percent of African population. So the world should not allow this nation to once again fail and become the source of disgusting news. The west should teach them to respect each other.after all they belong to the already poor black race.